Bombs Away Shot Glasses | BUDK.com - Knives & Swords At The Lowest Prices! 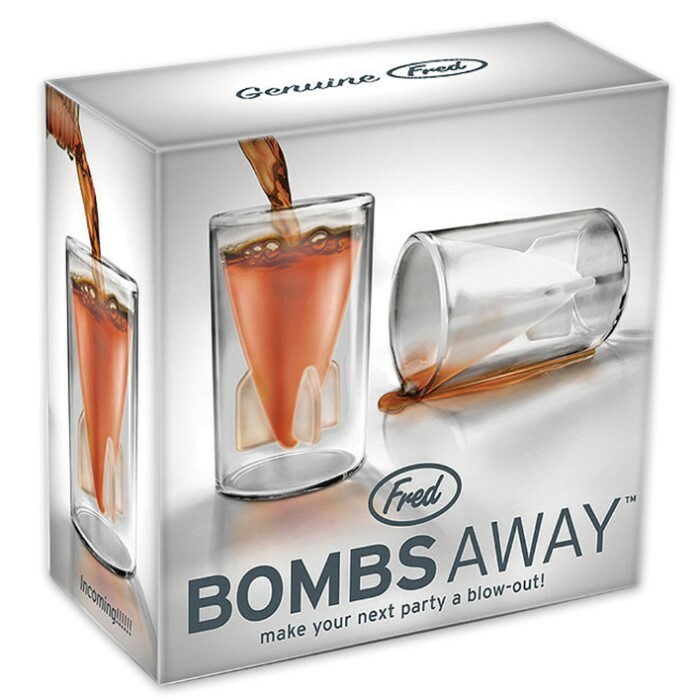 Add some BOOM to your next party with the Bombs Away Shot Glasses! 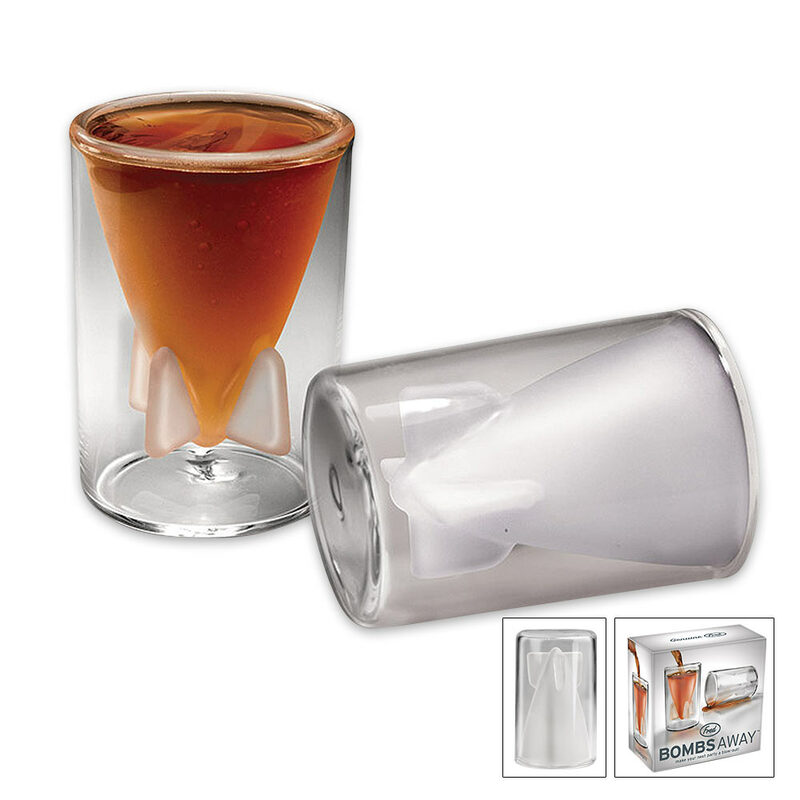 Each glass is made of high-quality double-walled borosilicate glass with a frosted interior finish. 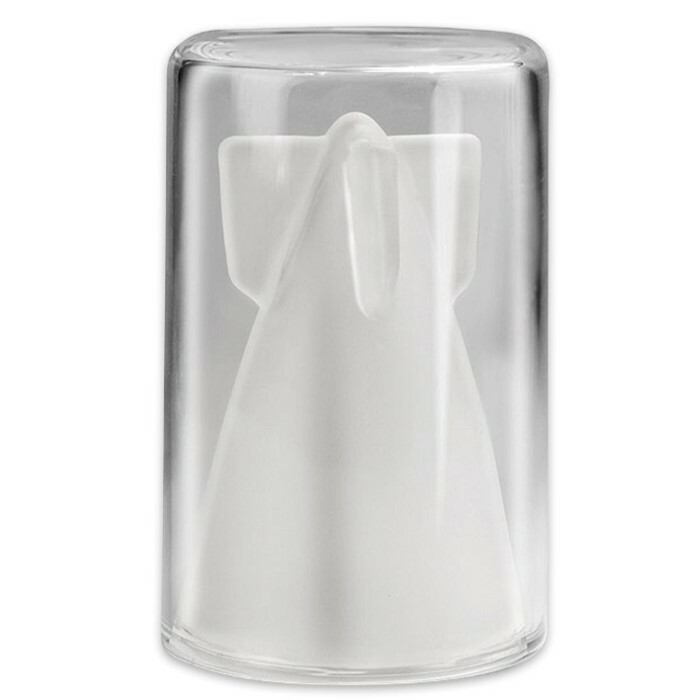 You get two glasses, packed in a handsome, illustrated gift box, in case you want to give them away. Make sure you get some for yourself, too!